SSRI (selective serotonin reuptake inhibitors) are used to treat depression and other mental health disorders. The drugs pose risk to the fetus via prenatal exposure. According to a new study published in the Journal of Affective Disorders, women who discontinue SSRI use after learning they are pregnant are highly likely to restart therapy, some in the first trimester. Researchers evaluated 132 pregnant women. The mean age at participation was 32.5 years. Women were being treated for depressive and anxiety disorders with SSRIs at the time of pregnancy. Women with advanced mental disorders like bipolar disorder or psychosis were not included in the study. Of the 132 women included in the study, 70 chose to discontinue use of SSRIs when they became pregnant. When the pregnancy was unplanned women were more likely to discontinue medication (66%) versus women who planned pregnancy (41%). Women who chose to discontinue use of SSRIs reported higher levels of depression and anxiety after stopped treatment. The majority of the women who discontinued medication restarted therapy (57% or 40 women). Of the 40 women, 48% chose to restart therapy during the first trimester. 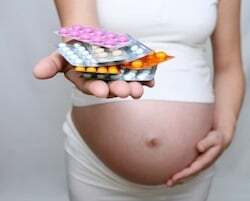 Women who chose to continue using SSRIs during pregnancy required an increase in dosage in 18% of cases. Researchers believe women taking SSRIs during reproductive years should be made aware of the possible fetal complications, but they should also be educated on the potential for worsening symptoms should they so choose to discontinue treatment during pregnancy. It is never a good idea to abruptly discontinue SSRI treatment without consulting your prescribing physician or obstetrician. Source: A. Roca, M.L. Imaz, A. Torres, A. Plaza, S. Subira, M. Valdes, R. Martin-Santos, LI Garcia-Esteve. Unplanned pregnancy and discontinuation of SSRIs in pregnant women with previously treated affective disorder. Journal of Affective Disorders. 2013 April 6. doi: 10.1016/j.jad.2013.02.040.